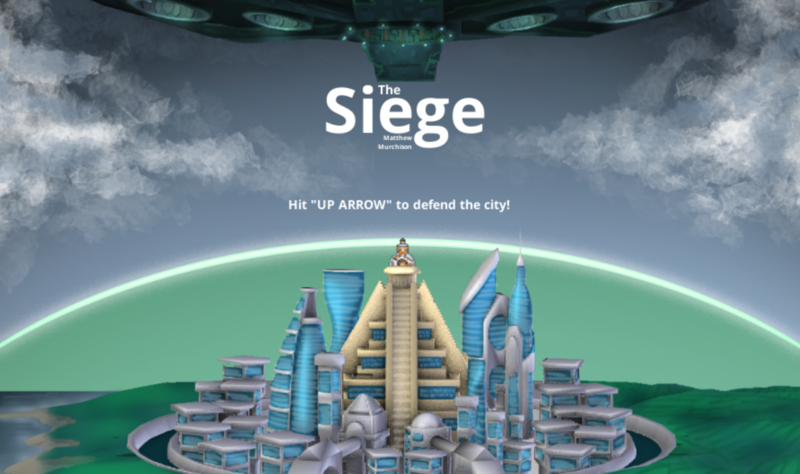 We need you to take command of our point defense cannon to save the city! You can aim at anything they shoot at us with the LEFT and RIGHT ARROW KEYS. By pressing the UP ARROW you can fire at the huge projectiles. Remember: We pitiful humans can’t even scratch their hull, our only hope is to destroy whatever their projectiles are!